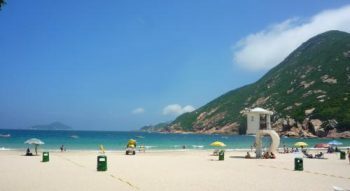 The purpose of this page is to give you a brief overview of what to expect when you arrive in Hong Kong. We hope that the advice below will be particularly useful for someone planning to stay here for an extended period. 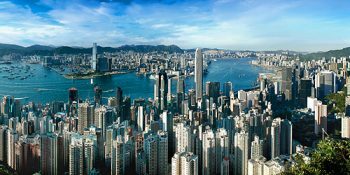 The Hong Kong Special Administrative Region of the People’s Republic of China lies on the Pearl River Delta in Southern China. 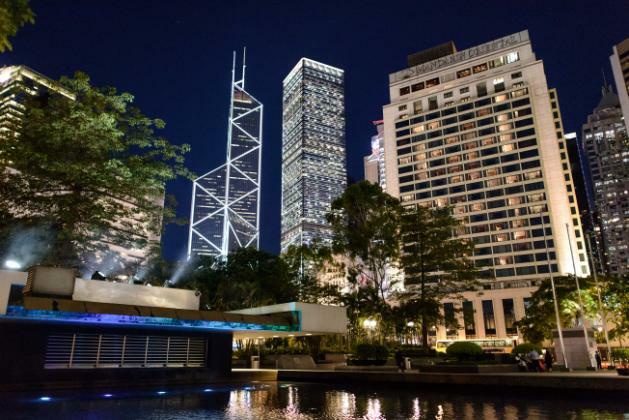 Hong Kong Island is just one of 236 islands. Many of them are uninhabited, while others are an interesting mixture of fishing villages and commuter hamlets. 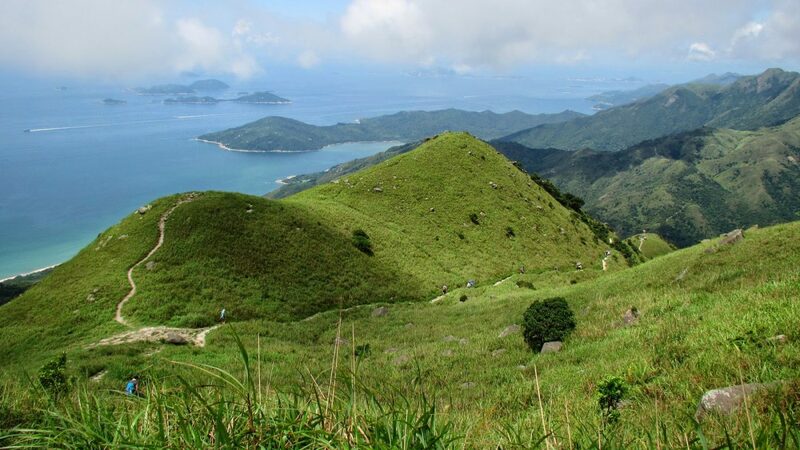 Lantau Island, home of Hong Kong International Airport, is actually larger than Hong Kong Island. Across the harbour from Hong Kong is the roughly triangular Kowloon peninsula. This densely populated area comes to a halt under the Kowloon (nine dragons) Hills. Beyond the hills lie the New Territories. Hong Kong is generally hilly. If you find yourself on flat land it is probably land reclaimed from the sea. The airport, for example, is built entirely on reclamation. 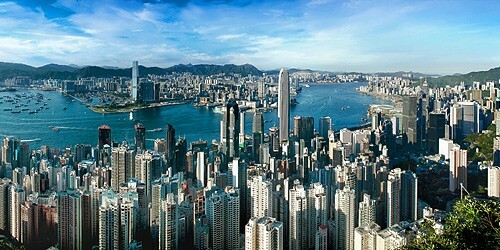 Hong Kong features some of the densest urban areas in the world while 60% of the territory is designated country park. The ability to get out of the city and into near-wilderness in the space of a morning is one of the most striking features of Hong Kong. Until 2012, the education system in Hong Kong was closely based on that of England and Wales. Since then, a new academic system has been introduced, where students are expected to take the Hong Kong Diploma of Secondary Education Examination (HKDSE) after their six years secondary education. Only a small number of schools in Hong Kong are directly government-run. The vast majority receive a government grant but are run by sponsoring bodies. There are an increasing number of primary and secondary international schools, such as the Canadian, the German Swiss and the Hong Kong International School (the latter is the most expensive). These receive no government grant. 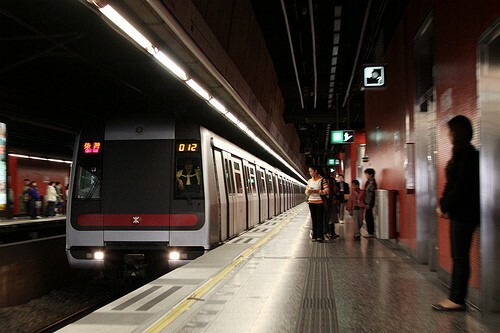 Hong Kong’s public transport is cheap, clean, safe and reliable – among the best in the world. Your first introduction to it will probably be the futuristic Airport Express, which whisks you straight from the Arrivals hall to Kowloon and Central. The public transport system includes buses, mini-buses, trams, the Mass Transit Railway (MTR) system, the cross-harbour Star Ferry and ferries to the outlying islands. Most public transport requires exact change, so an Octopus card makes life much easier. This stored-value card is available at the customer service centres of MTR stations for a $50 deposit. You can top up your Octopus at the ‘Add Value’ machines in MTR stations or in convenience stores. The card can also be used for most small value purchases. Taxis are cheap and plentiful in Hong Kong. Most taxi drivers have adequate English and they know the vast majority of destinations. There are also a number of free apps to download, that easily translate addresses from English to Chinese. 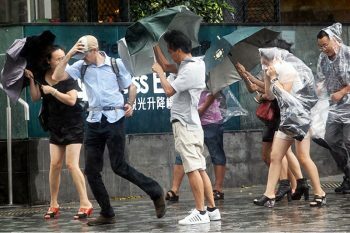 When in doubt, or if it looks like rain, flag down a taxi! To drive in Hong Kong you need to obtain a Hong Kong driving licence. It is illegal to drive with a foreign licence, even temporarily. If you intend to drive, please remember to bring your current driving licence with you. This will enable you to obtain a Hong Kong driving licence without having to take a further driving test. Please also ensure you obtain a copy of your no-claims bonus certificate from your insurer. There are some very good second-hand car bargains in Hong Kong. Apartments do not always come with a parking space and this can prove expensive, especially on HK island. Hong Kong is sub-tropical. It is usually still hot and humid at the start of the school year, but starts to get more pleasant from Mid-October. You can look forward to low humidity and temperatures of around 20°C from then until March, when it starts to warm up again. There are usually a couple of ‘cold snaps’ between December and February, when temperatures might fall as low as 10°C for a few days! Eighty per cent of Hong Kong’s rain falls between May and September, but there are still plenty of nice days. In this period we can expect the occasional typhoon or rainstorm. Hong Kong is a very safe place at any hour of the day. You are highly unlikely to be affected by crime, however, the usual precautions against pick-pockets in busy places should be taken. There have been a number of cases of shopkeepers defrauding customers – especially in camera and jewellery shops in Kowloon – by switching the purchase with a lower specification product at the last moment. Be suspicious of bargains. This is a hot topic in Hong Kong. Whether standards are really declining or whether expectations are increasing is a never-ending debate. The fact is that English is a working language in Hong Kong – not the case in Beijing, Paris or Tokyo, for instance. So you won’t be seen as a presumptuous foreigner when you address a sales assistant or receptionist in English. English is all around – on road signs, in advertising, etc. Many Hong Kong Chinese will text or email each other in English because inputting Chinese characters is laborious. The typically pragmatic Hong Kong result is that most people’s English is – at least – adequate for what they do. Often you’ll be very pleasantly surprised by someone’s standard of English; occasionally the person trying to help you will be out of their depth. On the whole, non-Cantonese speakers have little to complain about. There are a wide variety of organisations offering beginner Cantonese courses, and private tutors advertise in places like HK Magazine. The problem is practising the language outside the classroom. Attempting to use your few words of Cantonese will usually be both indulged and appreciated, but your interlocutor will probably switch to English to save time and get to the point! Information on flat-hunting, lease negotiation and some popular residential areas will be given during your induction. Accommodation in Hong Kong can be expensive, although there are always cheaper options. Flats are usually leased on a two-year agreement with a deposit equivalent to two months’ rent. Leases can usually be given up after one year if two months’ notice is given. Rent is paid monthly in advance and, if an estate agent is used to find a flat, 50% of one month’s rent is payable in commission. Monthly rentals in the rural areas and outlying islands are often considerably cheaper. Most of the islands have fast, frequent ferry connections to Hong Kong island. Transport remains inexpensive and although Hong Kong Island apartments are pricy for their size, they are reasonable in terms of their proximity to the centre of town or one’s workplace. Groceries are cheap in the ‘wet markets’, acceptable in the big two supermarket chains, and expensive in the up-market western delicatessens. ‘High street’ clothing stores are very reasonable. The cost of an evening out compares well with most big cities. Western restaurants can be expensive but Hong Kong abounds with plenty of cheaper alternatives. The vast majority of shops are open every day. Generally, shops are open from 10:00am-9:00pm. But in most busy retail areas like Causeway Bay and Tsim Sha Tsui, they stay open till much later. Supermarkets stay open till 9pm or as late as 11pm, depending on the area. Most convenience stores are open 24 hours. IKEA (www.ikea.com.hk) has a number of stores in Hong Kong selling affordable furnitures and accessories. Queens Road East in Wanchai is full of small furniture businesses that often compare well in terms of price and quality, and usually offer more custom options than IKEA. The ex-Portuguese enclave of Macau (now a Special Administrative Region like Hong Kong) is less than an hour away by ferry and features many specialists in reproduction Chinese furniture at affordable prices. Finally, due to the high turnover in ex-pats, you will often see classified ads for apartment clear-outs, where you can pick up a second-hand TV or dehumidifier for not much more than the price of taking it away. If you want to practise your Cantonese, the best place to go is a ‘wet’ market – a street market or covered municipal market selling fruit and veg, fish and meat. Some of the sights and smells are not for the faint-hearted, but these are the places to go for seasonal produce. Park’n’Shop and Wellcome are the two supermarket chains that dominate the high street – both also offer online shopping and home delivery. They sell a mix of imported and local foodstuffs which is heavily influenced by the neighbourhood: if there are a lot of ex-pats in the area, there’ll be a wider range of imported goods. Expensive, but hard to resist, are the upmarket international food halls. Major banks are open from 9am to 4:30pm Monday to Friday, and 9am to 12:30pm on Saturday. They close on Sundays and public holidays. Some banks and branches open slightly longer hours. For a city with such a reputation for hard work, Hong Kong has a surprising number of public holidays. These include Buddhist and Christian festivals as well as secular holidays, such as those marking the handover (1 July) and the founding of the People’s Republic of China (1 October). There are two local English-language daily newspapers – the South China Morning Post and The Standard – and many Chinese-language dailies. The international press is available in most bookshops and centrally-located news stands. There are two free-to-air English-language TV channels. Various satellite and cable TV packages are also available for the football and basketball fans and more. Broadband internet is reasonably priced and available virtually everywhere in Hong Kong. 10Mb connections are the current standard. Free wireless connections are widely available. Besides being able to surf the web at coffee shops and shopping malls, the government provides free Wi-Fi service in 2000 hotspots including 350 municipal buildings, sports and recreational centres, and three public parks. The local arts scene is quite lively: the Academy for Performing Arts and the HK Cultural Centre host home-grown and major international performances; there is a cluster of small art galleries around Hollywood Road with frequently changing exhibitions; local bands, poets and DJs perform in venues such as the Fringe Club. The highlights of the year are the HK Arts Festival and the Fringe Festival. The HK International Literary Festival will usually feature at least a couple of household names. Major rock acts sometimes drop into HK during world tour. Cultural organisations like the British Council and the Alliance Francaise often organise events – Le French May is now an established part of the cultural calendar. 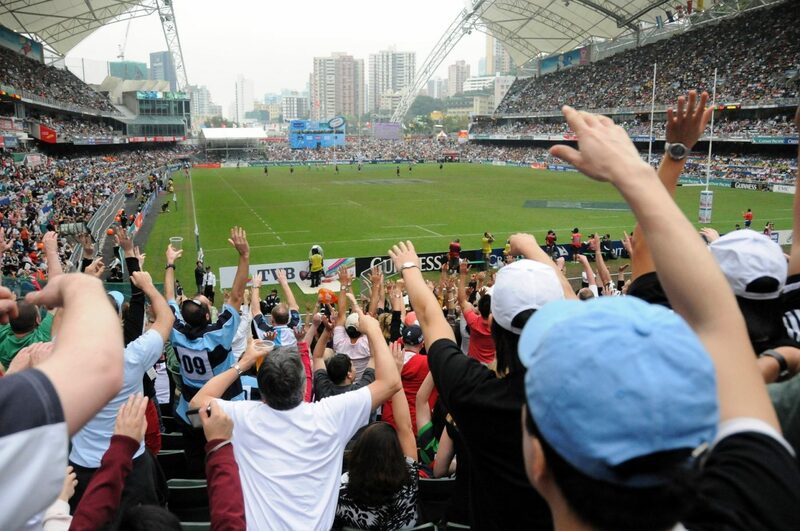 The most popular spectator sport in Hong Kong is horse racing. Meetings are usually held at Sha Tin on Sunday afternoons and Happy Valley on Wednesday evenings. Everyone should go at least once, if only for the atmosphere. The major world-class sporting event is the annual Rugby Sevens, held at the end of March in the splendid Hong Kong stadium. European football teams often come over for exhibition matches in the summer and there are a number of smaller-scale events such as the Cricket Sixes and Soccer Sevens. Hiking must be the most widely-enjoyed participation sport in Hong Kong, given the ready access to countryside that most people enjoy. There are a number of fun runs and sponsored walks, culminating in the annual 100km Trailwalker challenge in the New Territories. There are a wide range of other sports where you can meet like-minded individuals: there are the usual club sports, plus kayaking, mountain-biking, rock climbing, scuba diving….even dragon-boat racing!